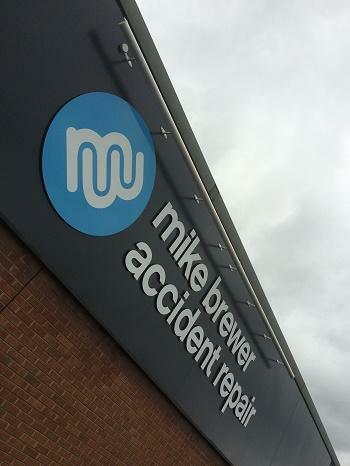 Our latest project was for the esteemed Mike Brewer, of Mike Brewer Motors. This retail signage required a little more of us than just creating a sign though due to the eyesore of what would have been behind it. So before we got round to the sign, we clad the fascia of each elevation with a Grey aluminium composite so as to make the sign look more attractive and to create an attractive background. 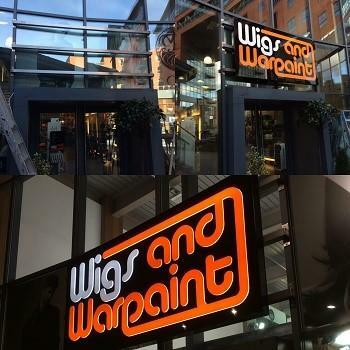 Wigs and Warpaint is Sheffield's largest salon. With 35 staff members, there are a variety of skills, talents and creative passions flowing throughout, visible in hair and beauty services alike. Every year, Wigs and Warpaint take part in many photoshoots and fashion events, showcasing their abundance of talent to the public as well as to people 'in the know'. 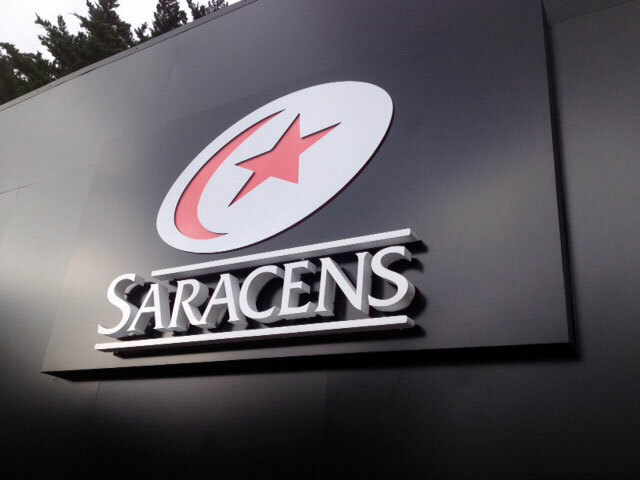 For one of our latest projects, we were honoured to have been asked by the Saracens Rugby Team to create the new signs for their club. So we decided to create an LED sign for them. We made the back box and put the LEDs inside. We then mounted the 3D lettering on the front with ahalo glow around each individual letter for the desired effect. It's eye catching, without being over the top, and we are so pleased that the Saracens, holistically as a club, fans included, are so happy with the final outcome. 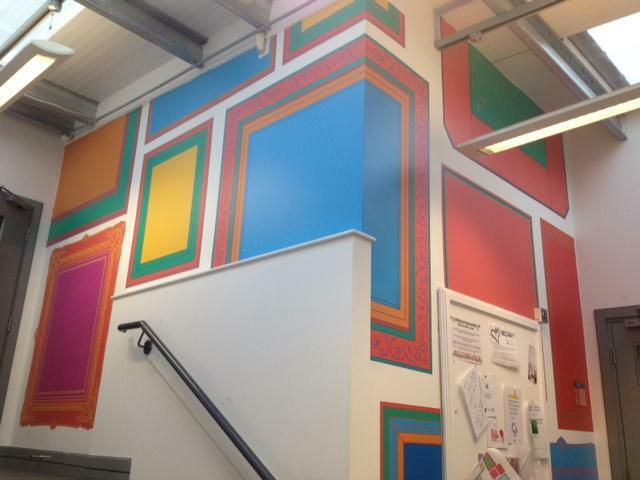 Creating Our New Retail Signage Wasn't As Hairy As We Thought! 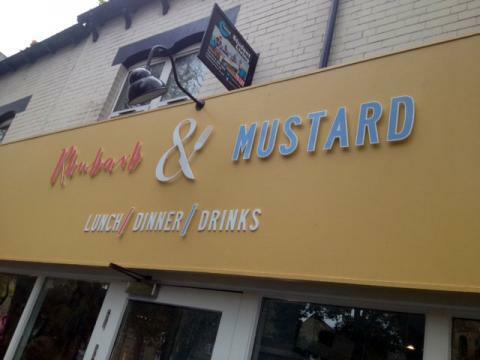 Smith and Baker on Ecclesall Road has recently, as I'm sure our beady eyed readers will have noticed, become Rhubarb and Mustard. 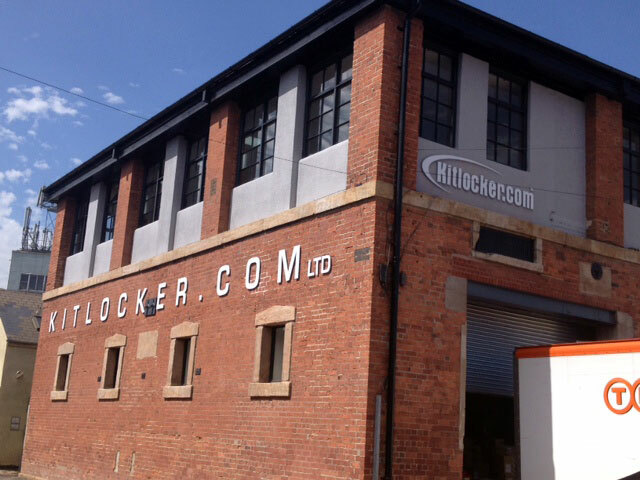 Richard Smith solely owns and runs this now as one of his many Sheffield ventures and yet again it has taken off! Having recently done the signage for another of his ventures, Thyme Cafe, Richard asked us to do the signs for Rhubarb and Mustard and we were delighted to say yes! Recently, we have done some work for Morfitt Smith, who are fairly newly established estate agents in the Sheffield area. We have created a sign for the front of their newest establishment at Banner Cross. The sign was an aluminium fabricated box which was CNC cut especially for our loyal customer. This illuminated effect cut sign is the third sign that we have done for Morfitt Smith and we hope it is not the last, as they are growing rapidly, expanding their business across many areas of Sheffield and are doing exceedingly well. Recently we, Image Sign Studio, have completed retail signs for Oisoi - the oriental food market and restaurant located in St Paul's Place restaurant quarter in the centre of Sheffield, which opened on 21st September.